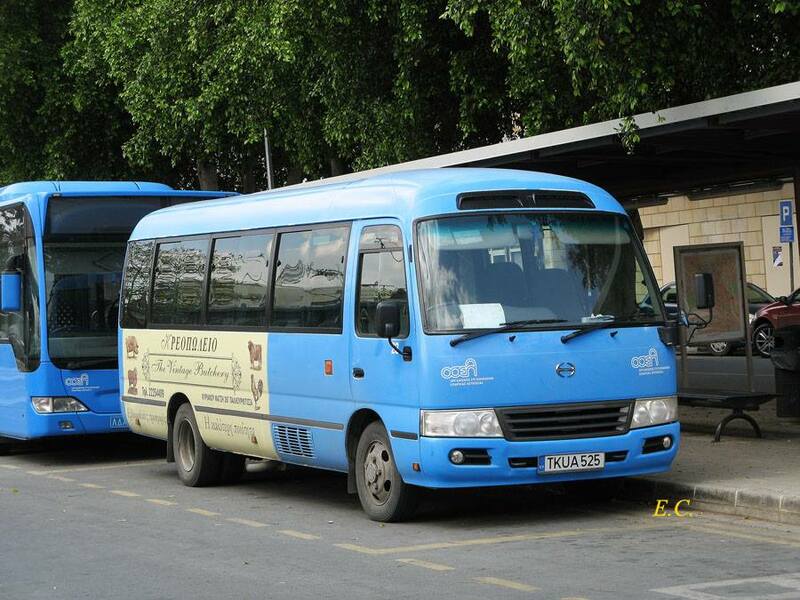 As a European Union member, buses of South Cyprus are closer to EU standard. 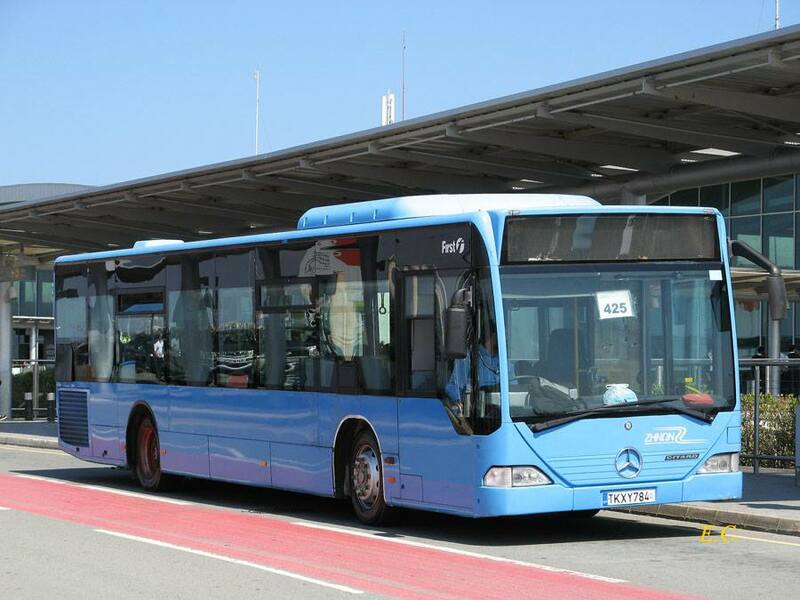 Nicosia and Paphos fleets are mostly comprised of Mercedes-Benz Citaro buses. 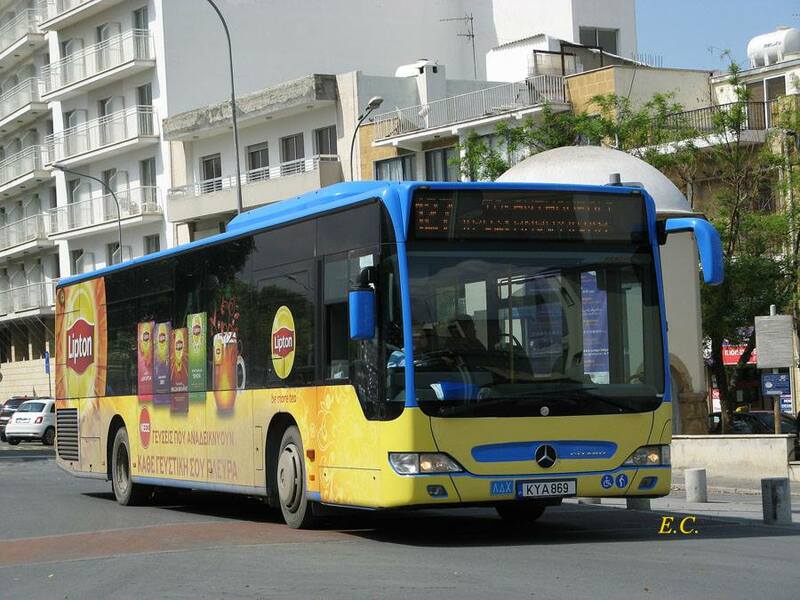 Mercedes-Benz Citaro with wheel trim at Paphos. 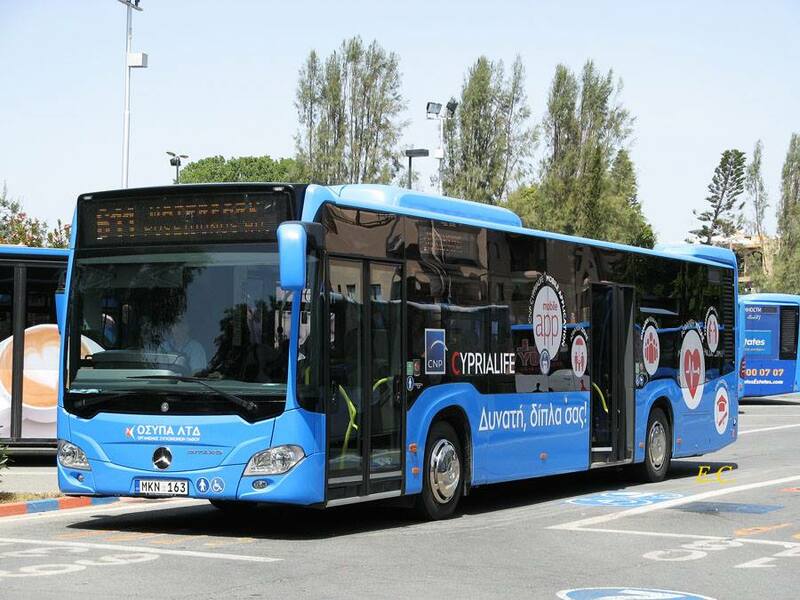 The First Bus logo above the driver cab telling this is a second hand Mercedes-Benz Citaro from the UK. 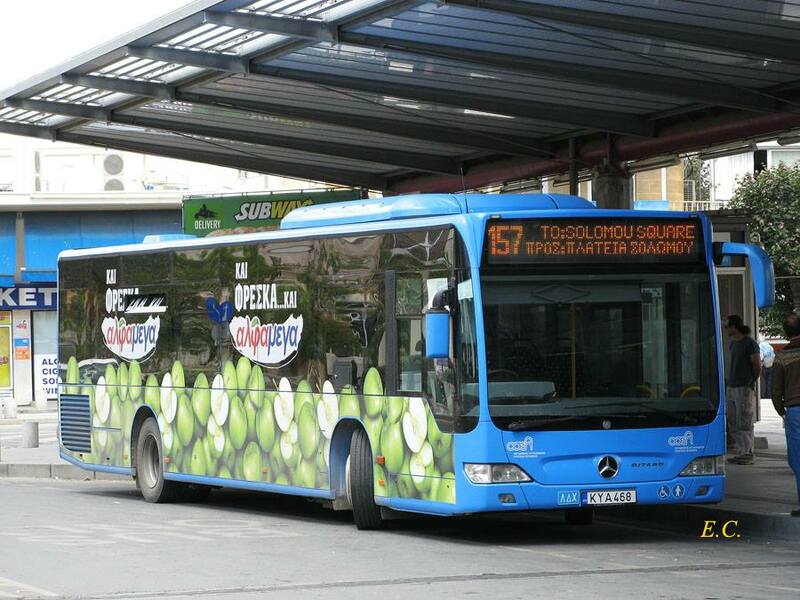 A Mercedes-Benz Citaro with Lipton teabag advert. 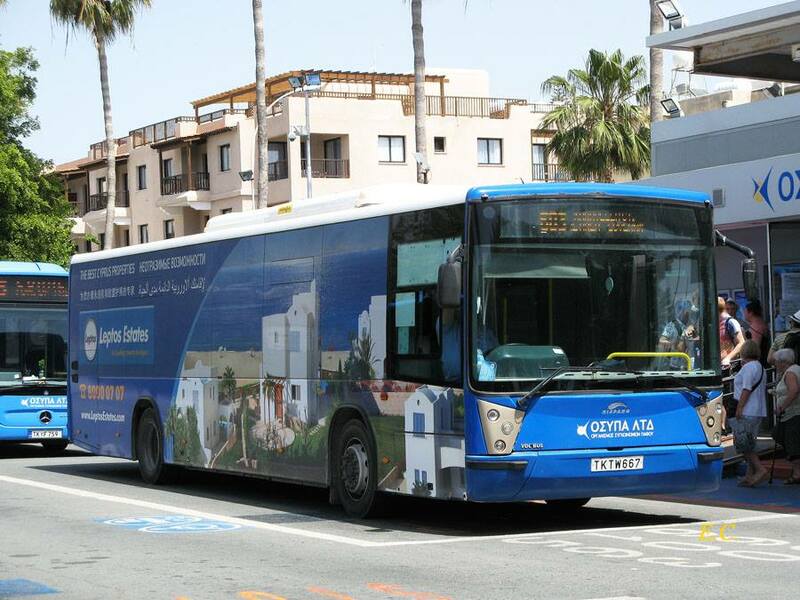 A VDL Bus with Hispano Habit bodywork, with an immigration investment advert at Paphos. 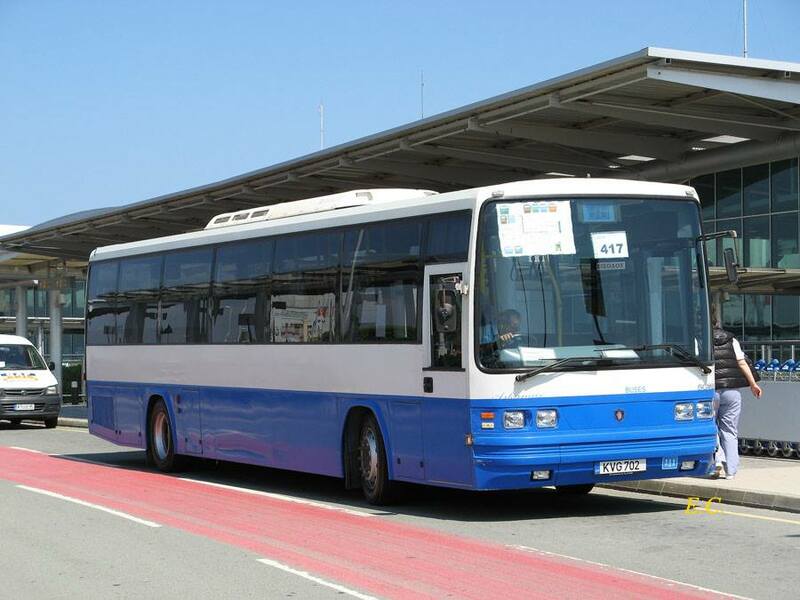 A Scania CN270UB OmniCity bus in Larnaca. 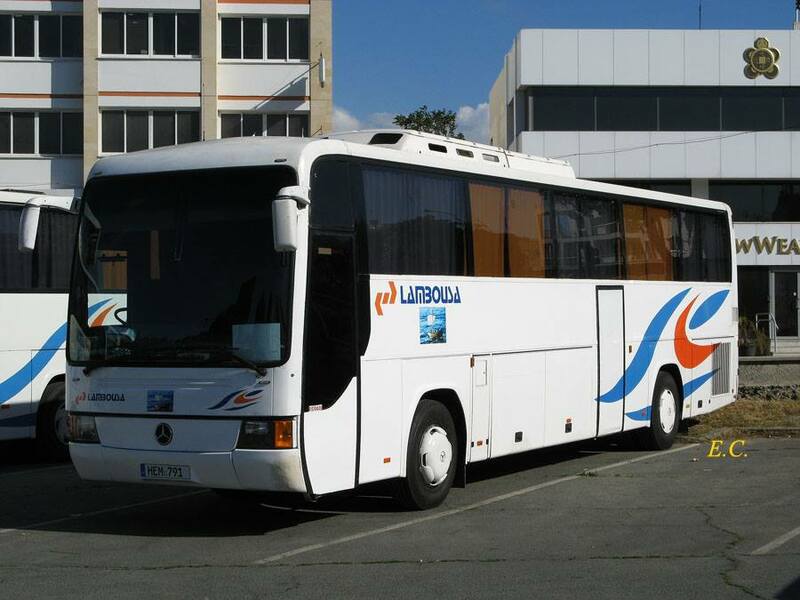 A Scania bus with Askamax bodywork in Larnaca. 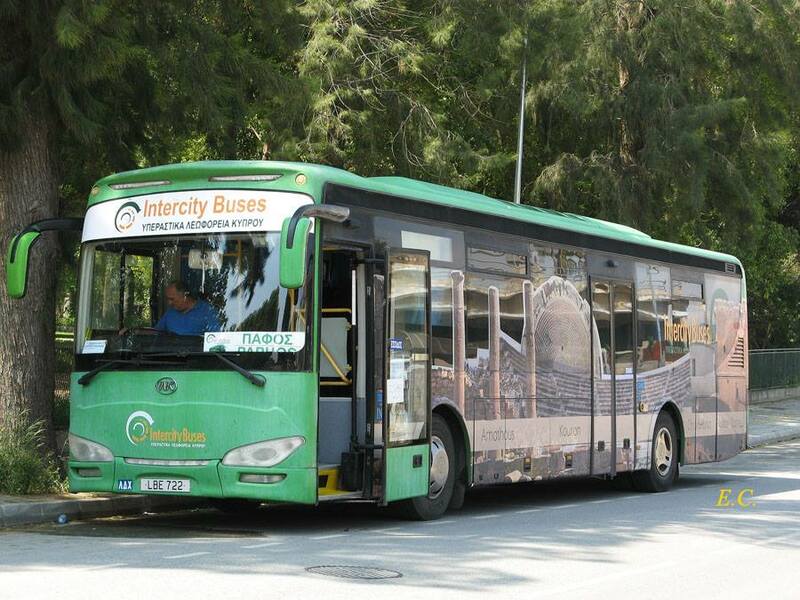 As I have hired cars in Cyprus, I have only used the urban bus service once, and I have got a Chinese built Yutong. 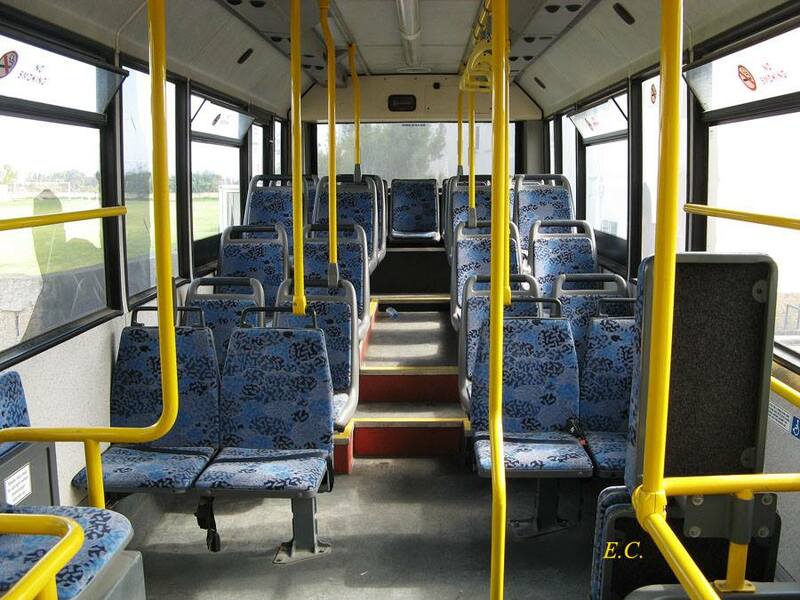 The hard seats, handrails, hard accelerations and brakes on board of this Yutong bus in Larnaca are all similar to buses in Shenzhen. 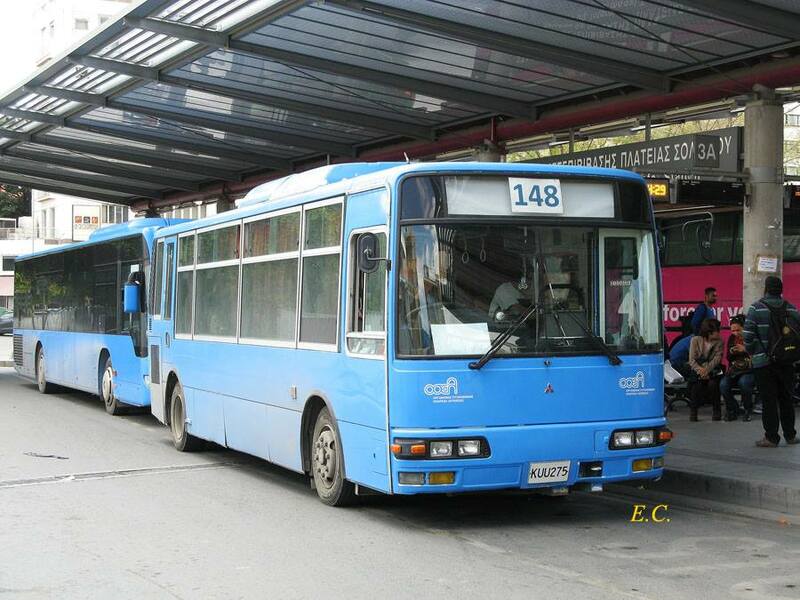 A Mitsubishi bus in Nicosia. 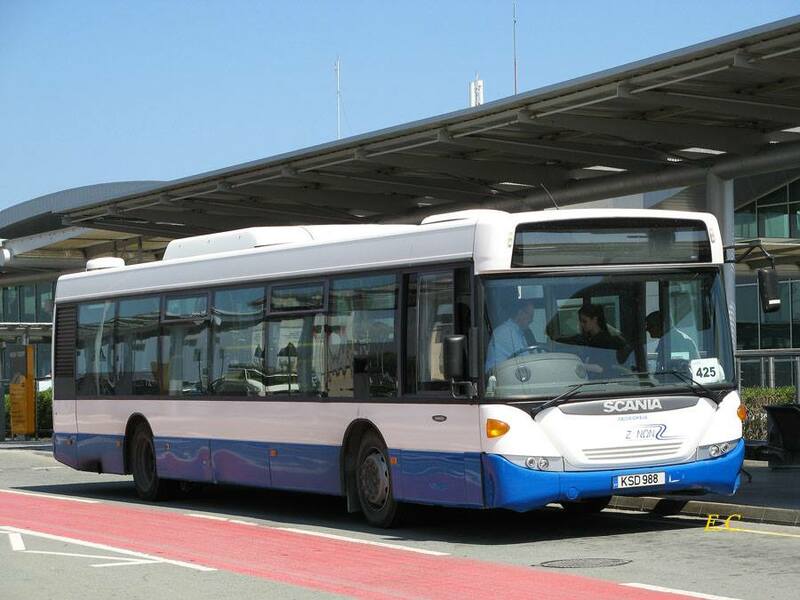 It is unusual to spot a Japanese branded public bus in the European Union. A Hino minibus in Nicosia. 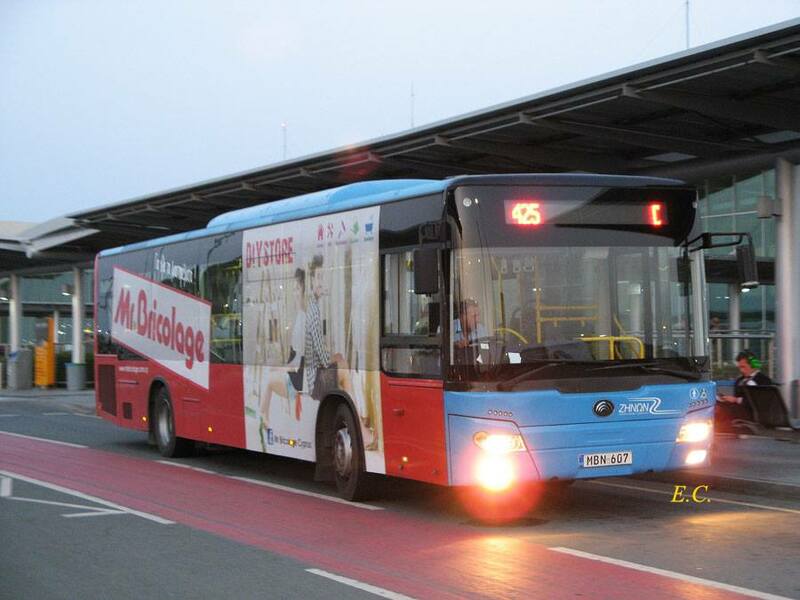 It is unusual to spot a Japanese branded public bus in the European Union. 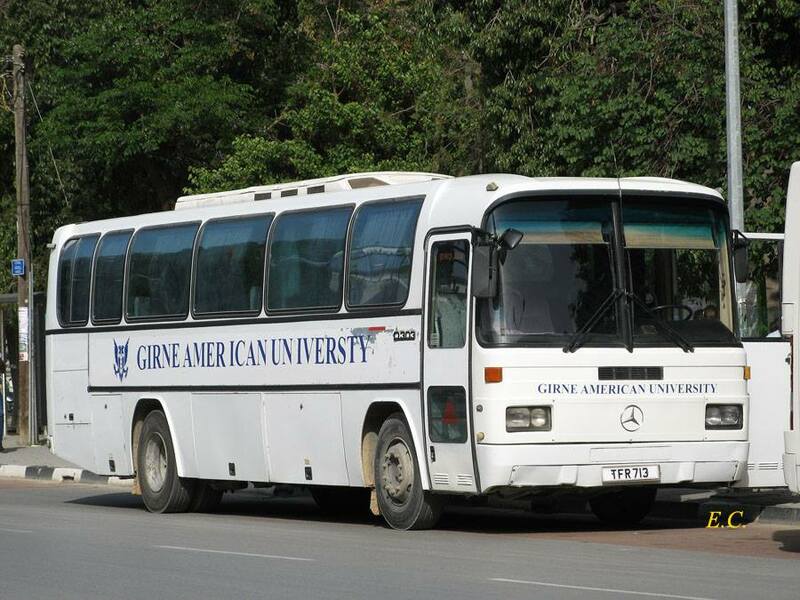 A Mercedes-Benz minibus in Nicosia. 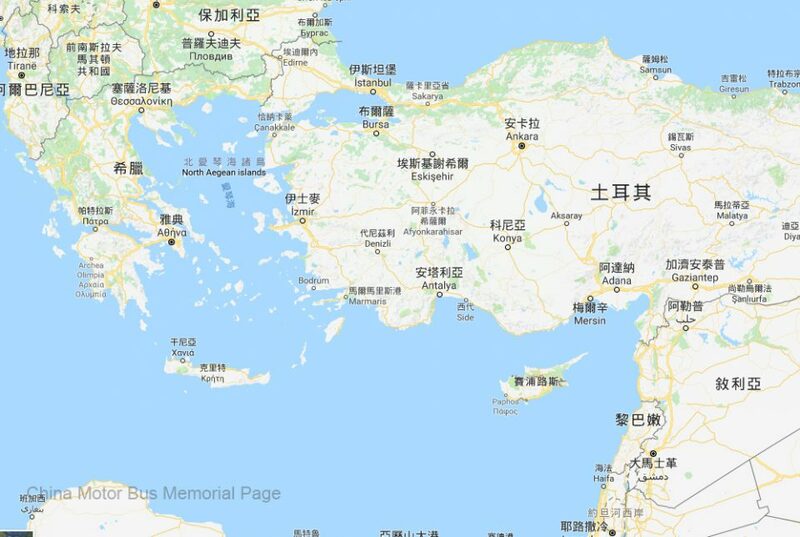 Intercity Buses of South Cyprus have also got some Chinese built products and they are Ankai. 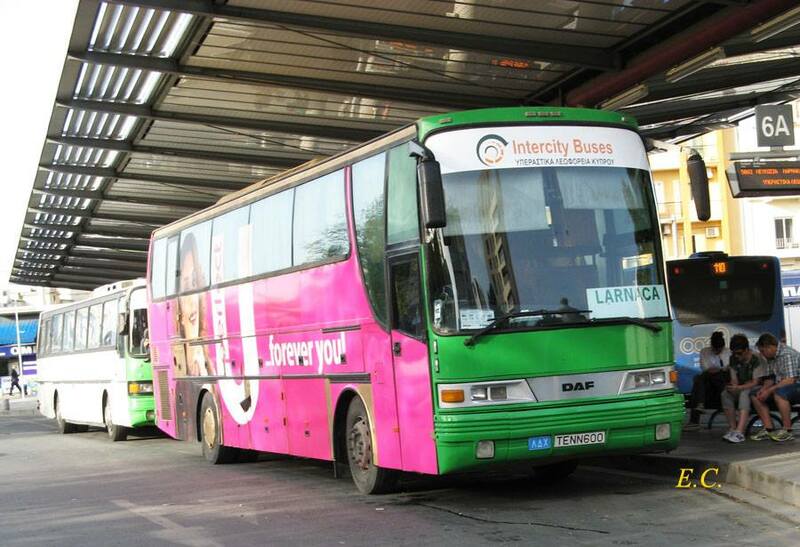 A DAF intercity bus running between Nicosia and Larnaca. 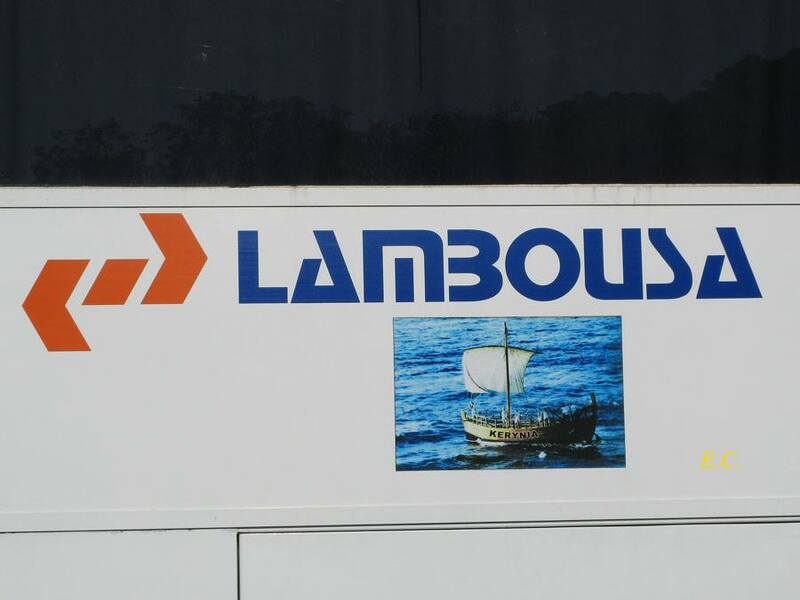 In Nicosia, the logo of a coach company is exactly the same KCR in Hong Kong. Found this old Bedford bus in a village in South Cyprus. 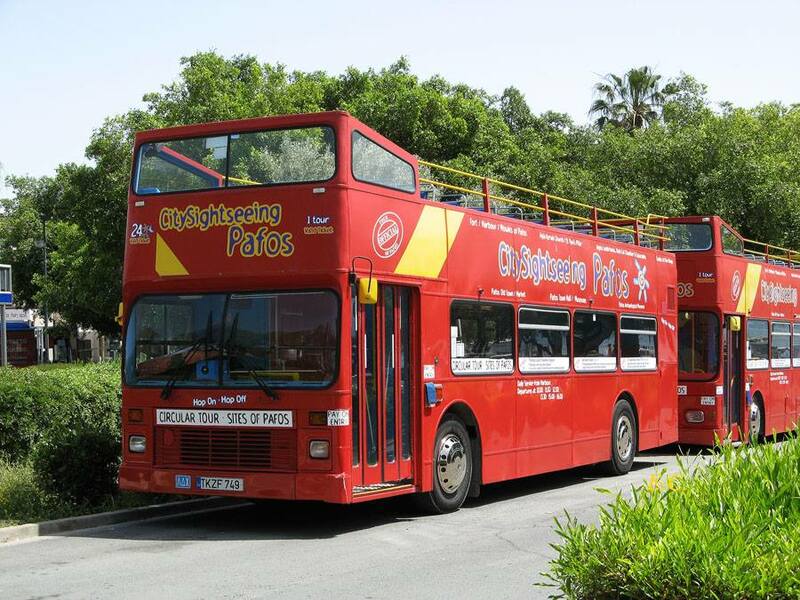 A Northern Counties Palatine 1 bodied Leyland Olympian open-top double decker at Paphos. 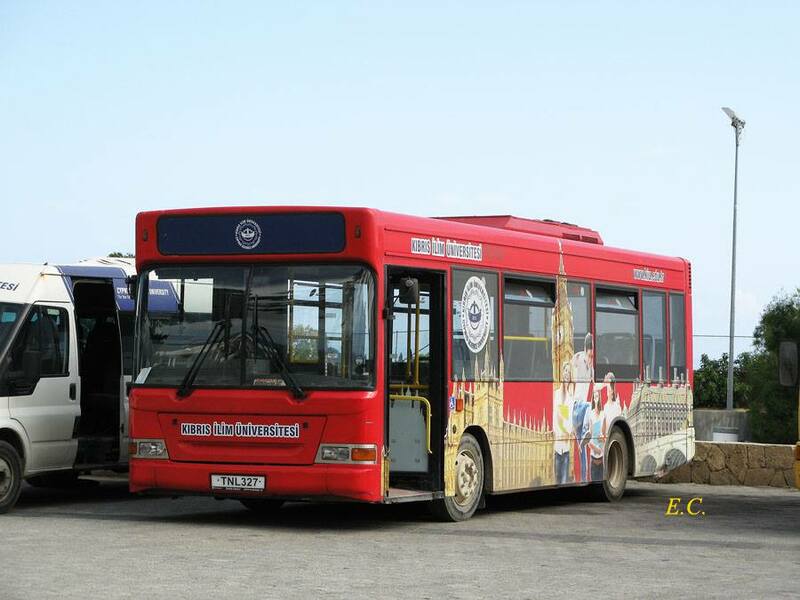 An Alexander RH bodied Leyland Olympian open-top double decker at Paphos. 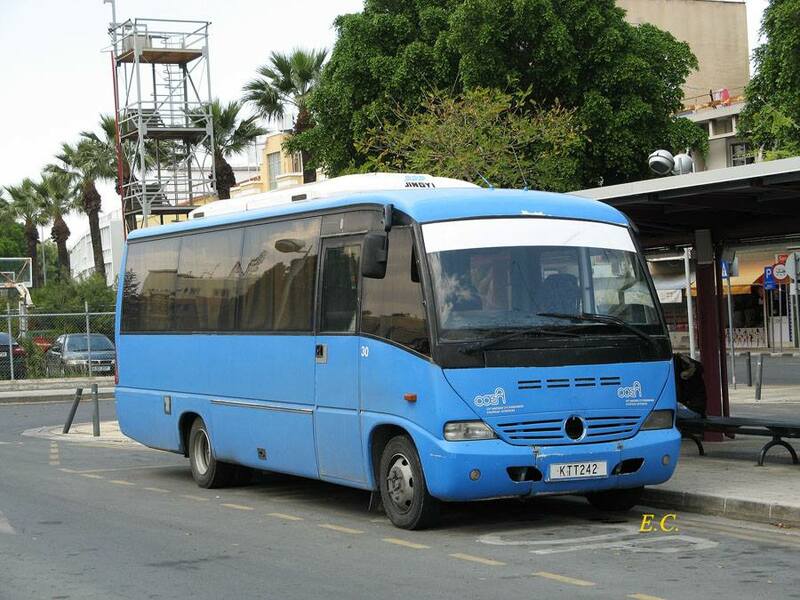 Buses in North Cyprus are very much of Turkish appearance, like this Mercedes-Benz. 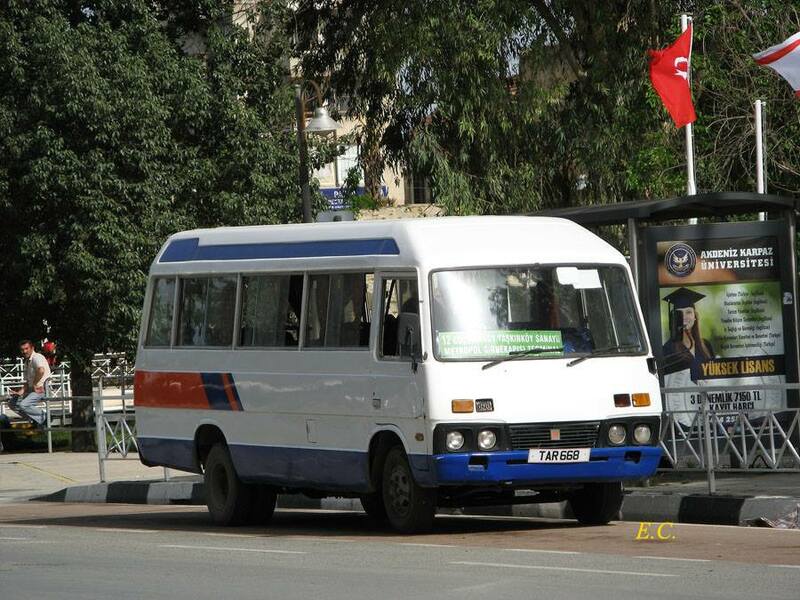 Buses in North Cyprus are very much of Turkish appearance, like this Isuzu minibus. 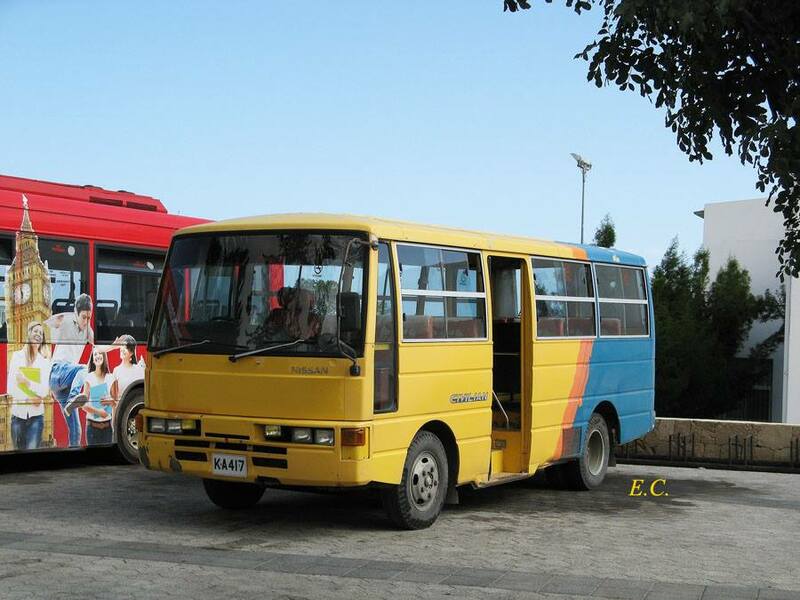 Buses in North Cyprus are very much of Turkish appearance, like this Nissan minibus. 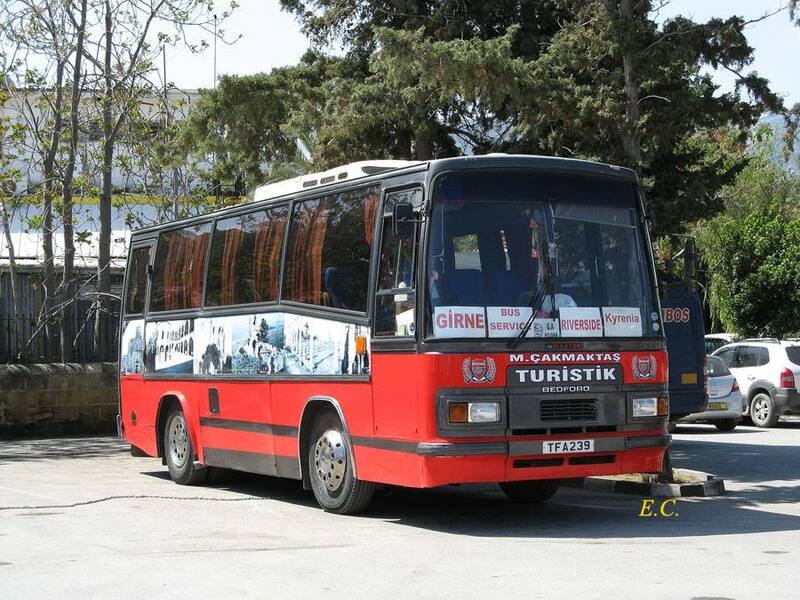 Buses in North Cyprus are very much of Turkish appearance, like this Iveco. 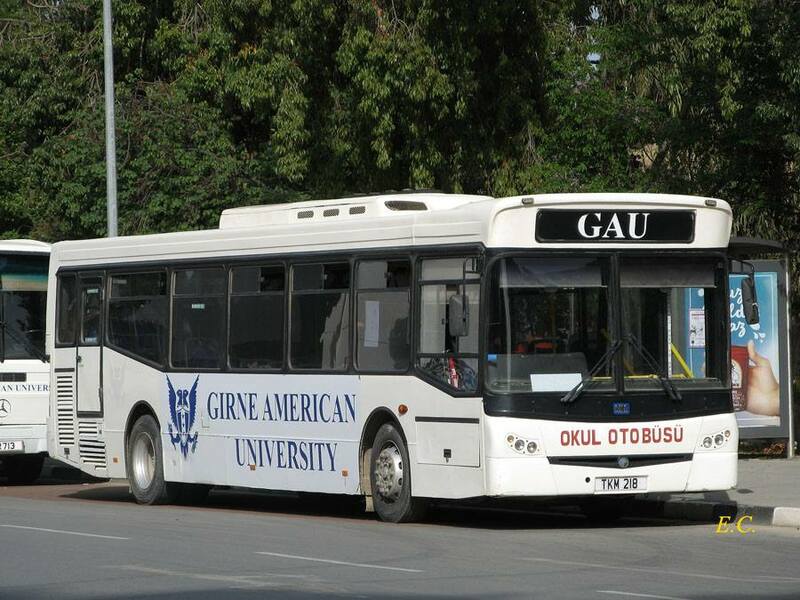 Buses in North Cyprus are very much of Turkish appearance, like this BMC Falcon. 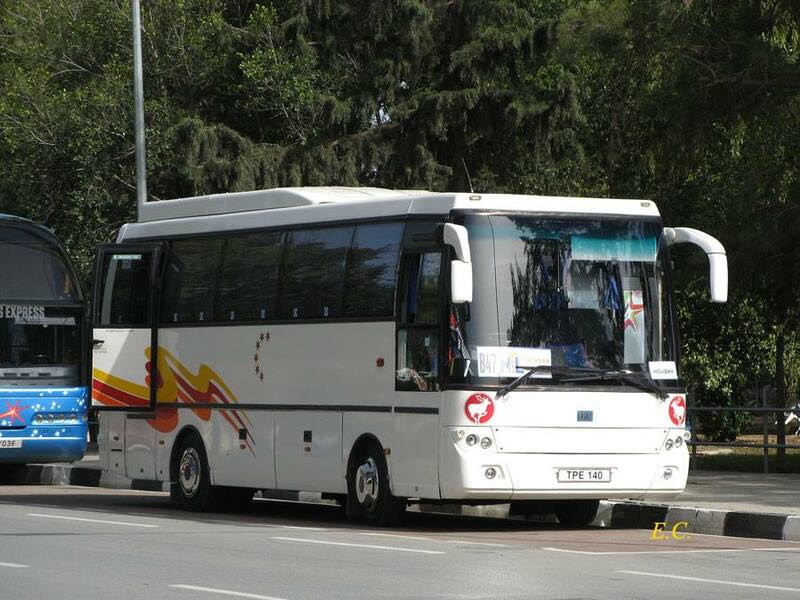 Buses in North Cyprus are very much of Turkish appearance, like this BMC coach. 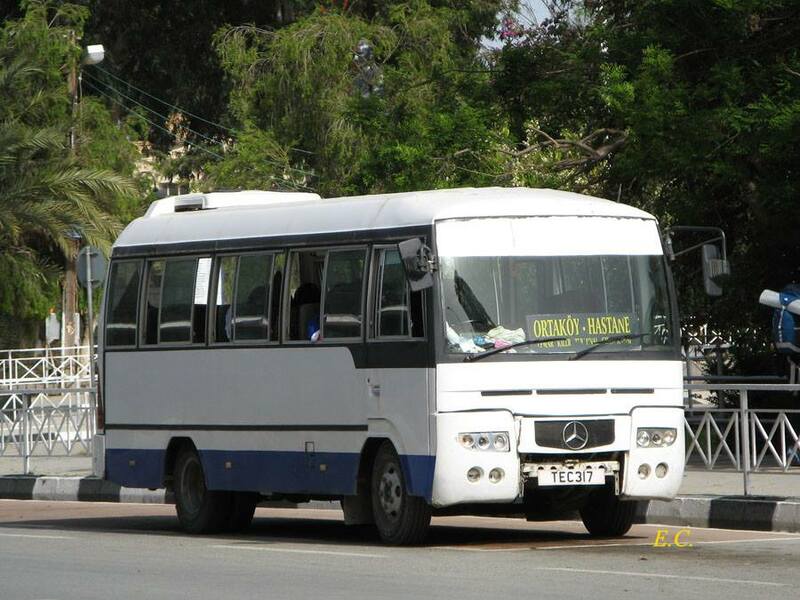 There are left hand drive buses directly imported from Turkey in North Cyprus, such as this Mercedes Benz. 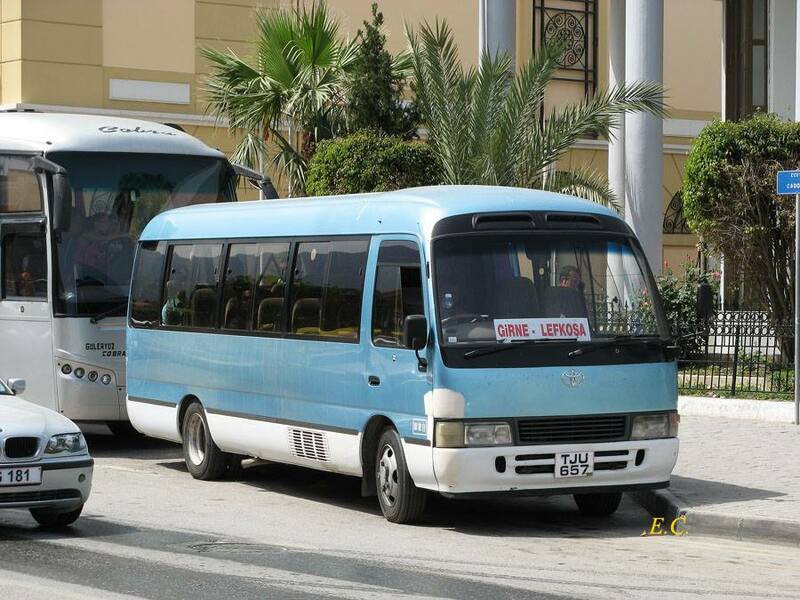 Apart from Turkey, there are also second hand vehicles from Japan in North Cyprus, such as this Toyota Coaster minibus. 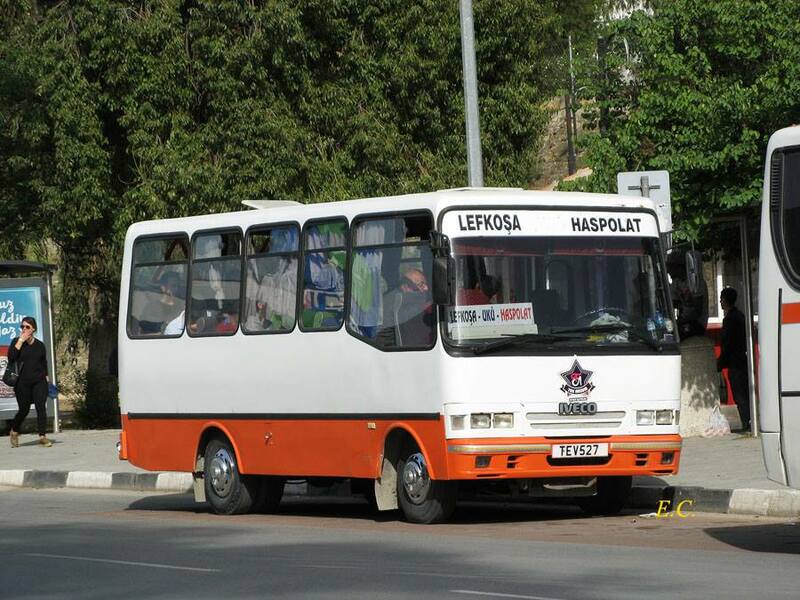 Apart from Turkey, there are also second hand vehicles from the UK in North Cyprus, such as this Bedford coach. 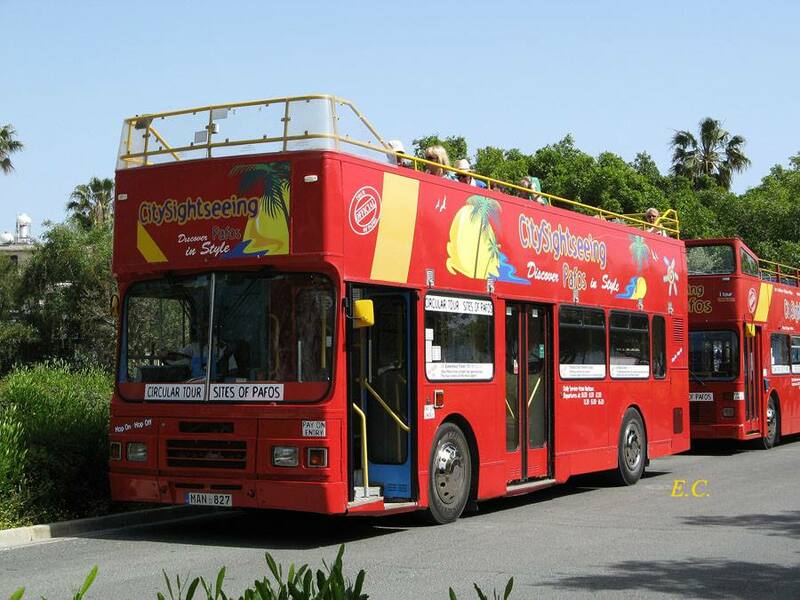 The most surprising bus found in North Cyprus is this second hand Dennis Pointer Dart from the UK. My first time to see such bus with an added conditioner on the roof. 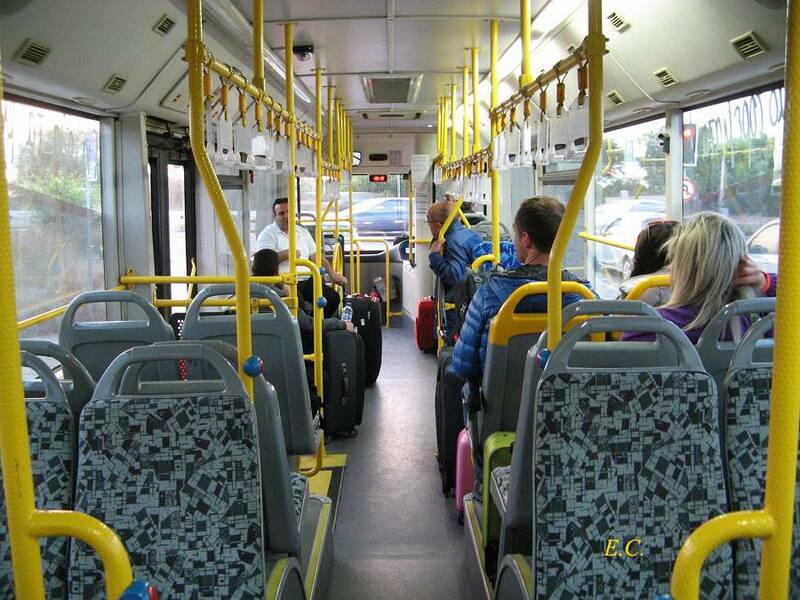 Interior of the second hand Dennis Pointer Dart in North Cyprus. 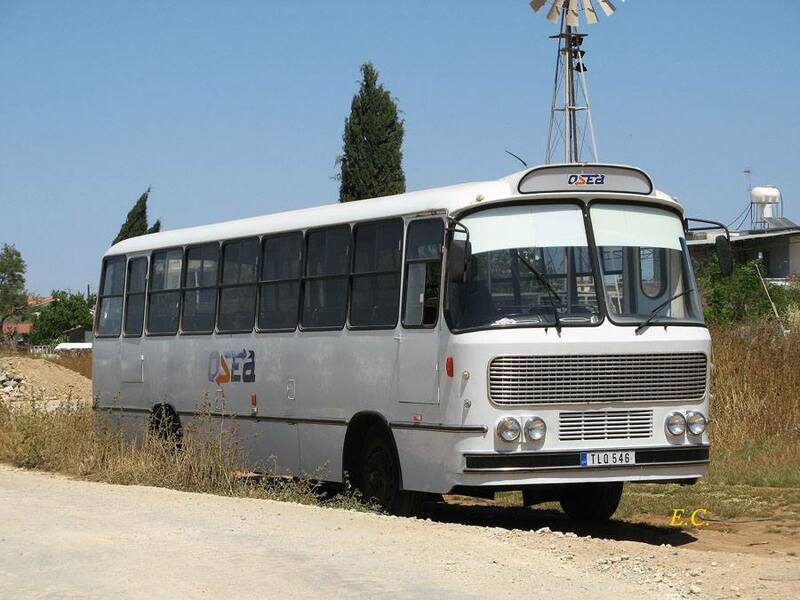 Air conditioning nozzles on board of the second hand Dennis Pointer Dart in North Cyprus. 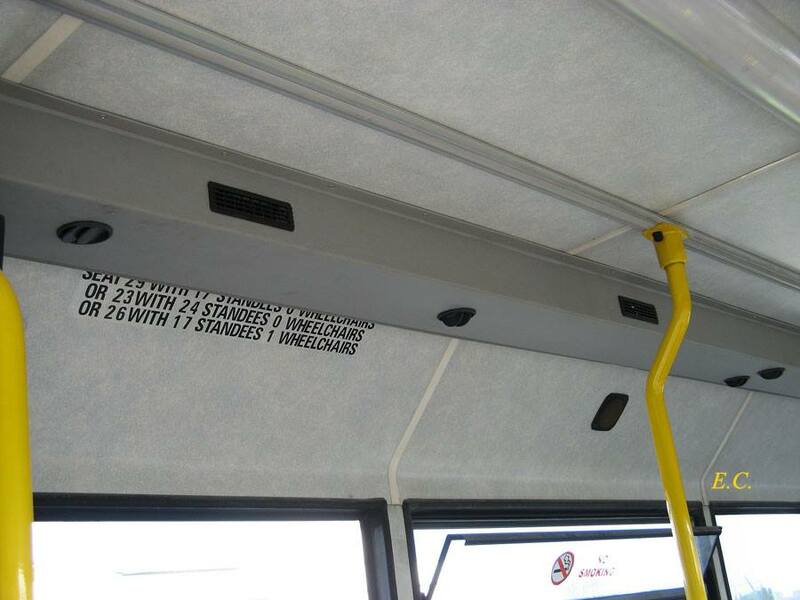 It is really possible to fit air conditioning on a UK single deck bus!